I returned from my summer putting on poetry workshops and Rhyme Time Rambles at RHS Harlow Carr to discover that the Journal of Biological Education had given my Buzzing! book a 5-star rating – twice over! Five stars for ‘Usefulness to student (primary)’, and another five stars for ‘Usefulness to teacher (or parent!) (primary)’. What a lovely welcome home surprise. ‘This is a book that will certainly deliver in terms of educating younger children about invertebrates. A really nice combination of the whimsical with the scientific – surely what we would want when trying to get our very youngest interested in the natural world’ writes the reviewer, Peter Anderson. Which is great, as that’s just what I was aiming to create. And if you so desire, you can read other reviews of Buzzing! by clicking here and scrolling through the posts. To find out more about my Buzzing! book, and read some sample pages, click here. 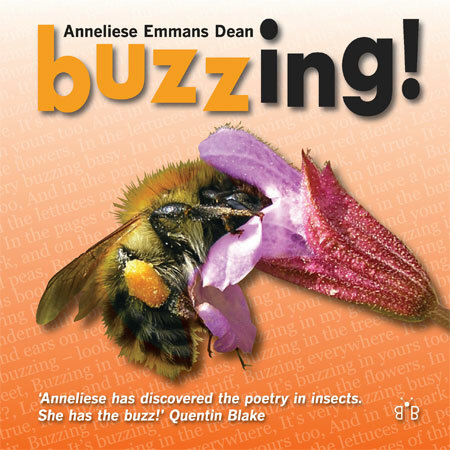 And to buy your signed copies of Buzzing!, click here.